Fluffy, rich and decadent, dark chocolate mousse is an impressive dessert to serve at dinner parties. Just don’t spoil the effect by telling your guests how easy this was to make. 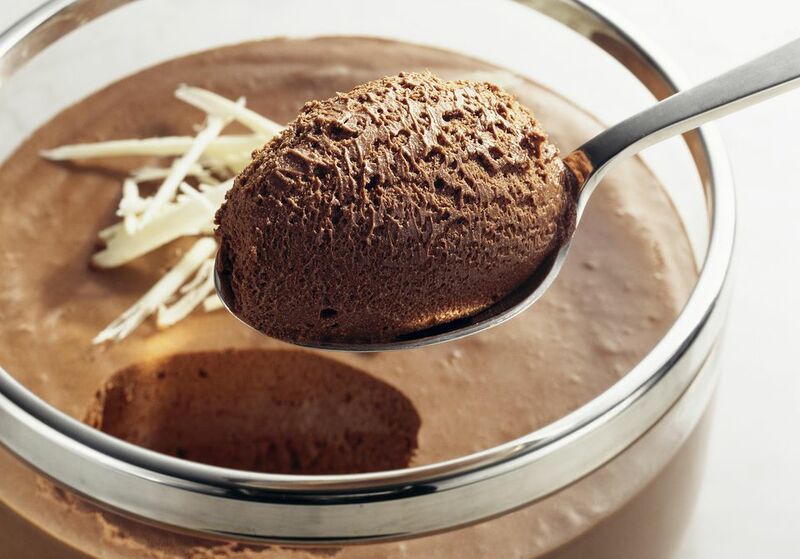 Mousse means “froth” or “foam” in French and the dish can be either sweet or savory and served hot or cold. It's important to use good-quality, dark, semisweet chocolate for best tasting results. I like to add a touch of Baileys Irish Cream to give an added dimension to the chocolate flavor, but that’s completely optional. The mousse can be made a day ahead and chilled until serving time. An important note on melting the chocolate -- make sure you use a clean and completely dry heatproof bowl. It must not have even the smallest drop of water in it. Otherwise, the chocolate will seize up. Also, use a pasteurized egg because, while the egg yolk will cook in the chocolate, the egg white remains uncooked. The hardest part of this recipe is waiting the two hours it takes to chill before eating it! Add 2 tablespoon whipping cream and chocolate to a clean metal bowl. Place bowl on top of a saucepan filled with enough water to simmer for several minutes. Make sure the water doesn't touch the bowl. Heat gently and stir the chocolate cream mixture with a metal spoon until the chocolate is melted and smooth. Remove the chocolate mixture from the stove to cool just slightly. Add the egg yolk to the chocolate mixture while stirring until combined and smooth. The residual heat from the chocolate will “cook” the egg yolk. Place the bowl over the saucepan filled with hot water to keep the chocolate warm but don't turn the heat back on. Whip the whipping cream until soft peaks form. Add half of the melted chocolate to the whipped cream with the metal spoon and fold until just combined. Fold in the remaining chocolate mixture but be careful not to over mix or deflate the volume. Set aside. Use a clean electric mixer to beat the egg white until soft peaks form and then fold it into the chocolate mousse mixture. Spoon mousse into serving glasses. Cover and refrigerate for 2 hours. Serve with chocolate shavings or fresh raspberries.